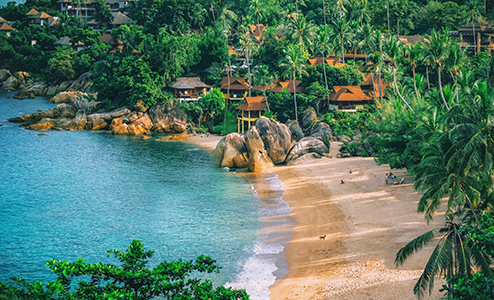 Stunning beaches, fascinating culture and history, and world-famous cuisine known for its bold, exotic flavours make Thailand one of Southeast Asia’s most popular destinations. 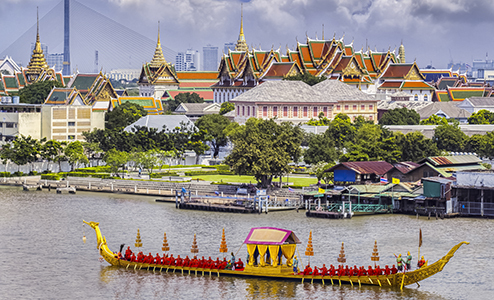 Most visitors will arrive in the capital city of Bangkok, a pulsating megacity with modern skyscrapers towering over glittering temples below. 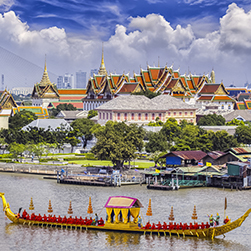 Whether sampling spicy street food or shopping in one of its many luxury malls and massive outdoor markets, Bangkok is truly a feast for the senses. 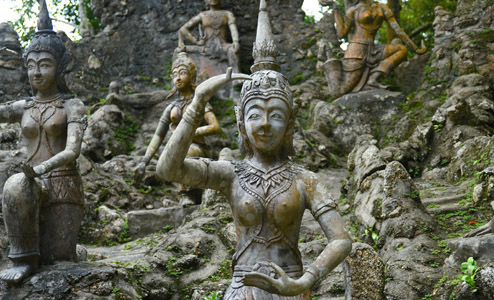 In northern Thailand, Chiang Mai and Chiang Rai, the former capitals of the Lanna Kingdom, are the cradle of Thai culture. 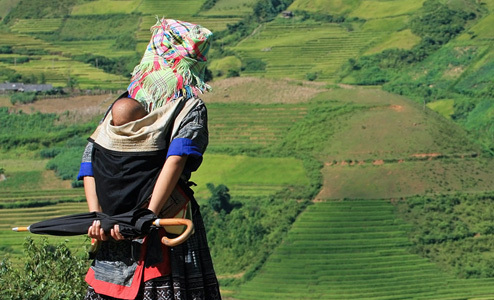 Discover opulent temples and historic ruins or trek through scenic hill country to discover ethnic minority villages. 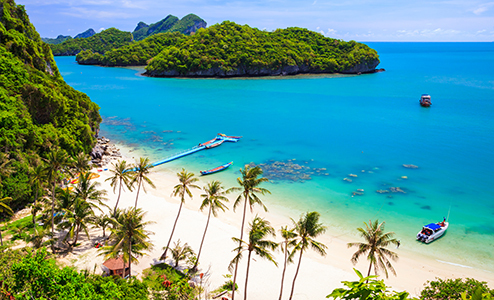 The south of Thailand boasts the tropical paradise retreats of Phuket and Koh Samui with their sun-kissed beaches and outer islands, surrounded by electric blue waters teeming with colourful sea life. 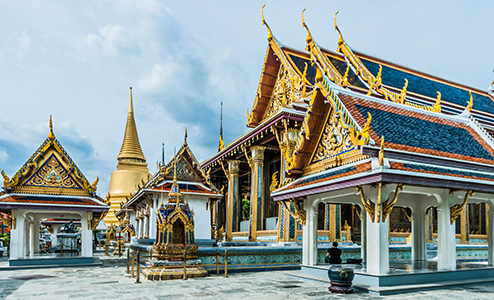 The friendly Thai people with their legendary hospitality only serve to enhance the amazing Thailand experience which draws visitors back time and time again. 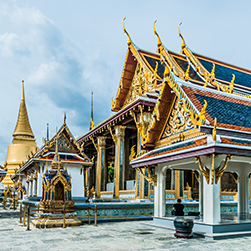 Thailand is the gateway to neighbouring destinations with Bangkok as the international hub with two airports: Suvarnabhumi International Airport and Don Muang International Airport. The below flight times are from Bangkok. There are two seasons in central and northern Thailand. The dry season is from November to May and the west season is June to October. Cooler temperatures tend to be from October to January. The southern west coast (Hua Hin, Koh Samui) has the most rainfall from April to October while the east coast (Phuket, Krabi) is wet from September to December. The other times of the year it is dry and sunny perfect for a beach holiday. A delicious voyage through two of the world’s hottest culinary destinations. Discover everything from local street food and rustic village specialties to gastronomic cuisine at sophisticated restaurants. 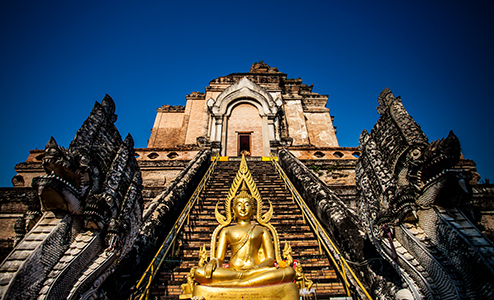 Explore our Thailand sample itineraries to inspire your travel planning. The itineraries can be easily customised and adapted to your personal interests and preferences. 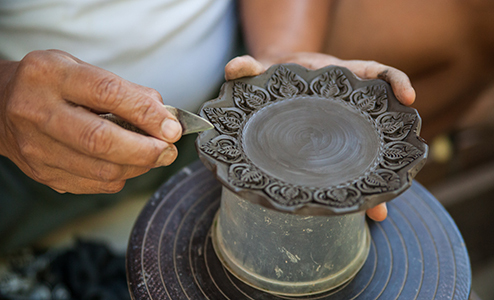 Gain a deeper understanding of Thailand’s rich artistic heritage in the fascinating cities of Chiang Mai and Bangkok, with hands-on experiences and in-depth expert guidance from prolific artisans, artists and art historians. 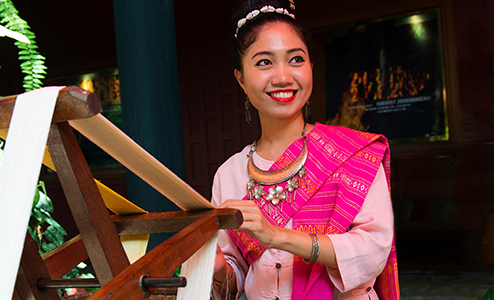 Long a hub for the creative community, Chiang Mai has emerged as Thailand’s art capital with many Thai and foreign artists drawing inspiration from this city’s mix of ancient Lanna culture surrounded by beautiful landscapes. Spend an inspiring half day with emeritus professor in his private studio. 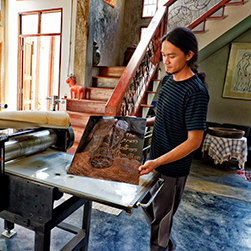 Known for his thought-provoking prints, this former Dean of the Faculty of Fine Arts, Chiang Mai University has trained at Bangkok’s Silpakorn University and studied printmaking in Krakov, Poland. Now his private art gallery houses his own works and provides accommodations for visiting artists from around the world. 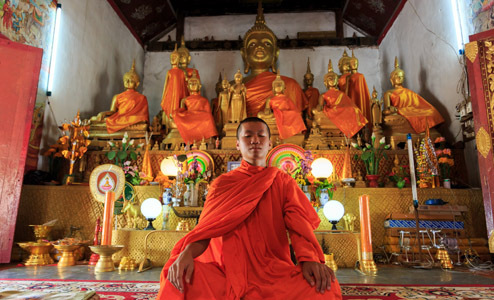 Listen as this art scholar shares his thoughts on Northern Thailand’s burgeoning art scene, focusing on Chiang Mai as a city of contemporary art. 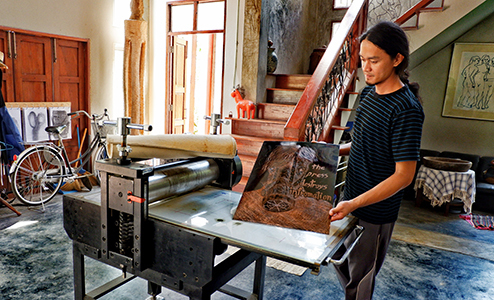 Under Professor Chaiyakut’s guidance, learn the technique to making your very own print. 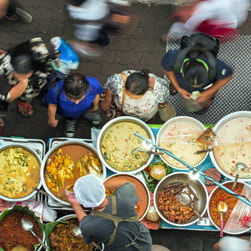 Renowned for its bold and spicy flavours, Thai food is a harmonious balance of sour, sweet, salty, bitter, and spicy, taking seemingly disparate elements and fusing them into wonderfully complex dishes. 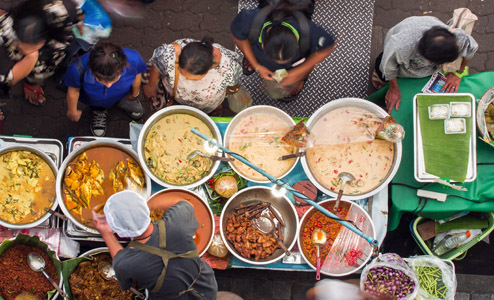 Spend a full day exploring the many flavours of Thailand starting with an early morning trip to Or Tor Kor Market, rated one of the world’s best fresh markets for its cleanliness, high-quality produce, and wide-ranging selection. Learn basic market phrases and tips on selecting fresh food. 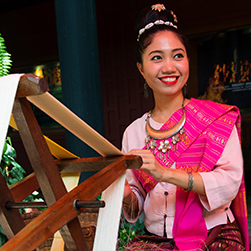 At Bussaracum, Thailand’s first restaurant to specialise in royal cuisine, join a workshop on food carving, followed by a lunch of dishes typically served to Siamese royalty. In the evening, enjoy a fine dining experience of authentic Thai cuisine at Chef David Thompson’s Nahm, the kingdom’s first restaurant to be awarded a Michelin star. 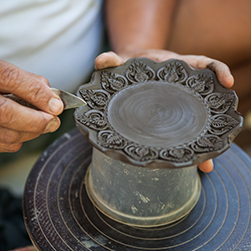 Covering 700 sq km, Mae Wang National Park is home to five Karen hill tribe villages. 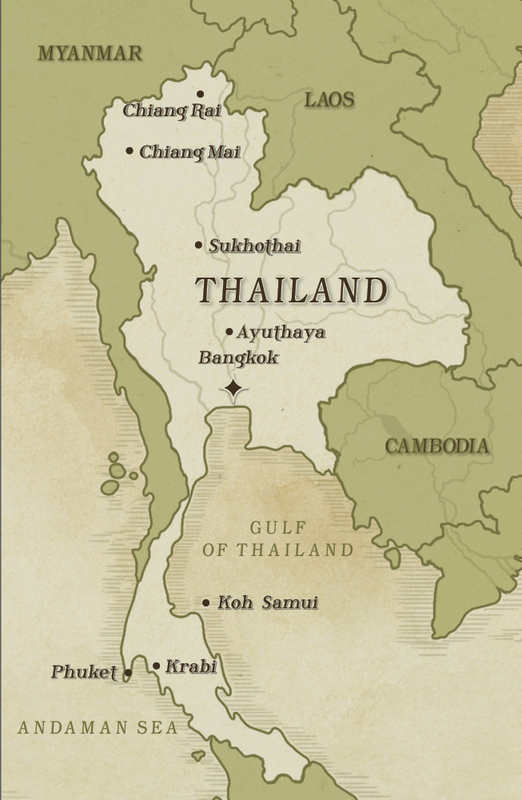 Originally from the Gobi Desert, Mongolia, or Tibet, the Karen crossed into Thailand in the 1700s. 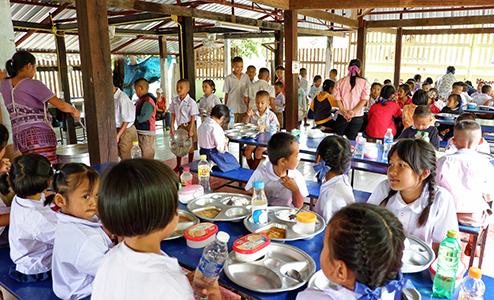 Thailand’s largest minority group often find themselves marginalised and largely trapped in a cycle of rural poverty with only one in four children completing secondary education. 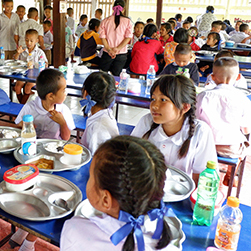 Travel to the national park by 4WD vehicle to spend the day at a village elementary school, first stopping to pick up supplies for the school. 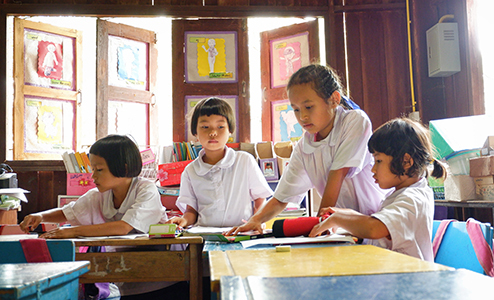 After learning about the educational challenges facing the students, add a memorable philanthropic element to your travels by helping to teach a lesson in basic conversational English. Also visit a Karen house for a closer look at local life, including cooking over a traditional fire stove. 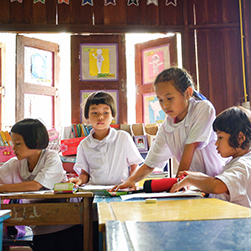 Of more than 60 million Thai people, an estimated 450,000 live with HIV. While the epidemic is thankfully in decline, Thailand still has one of the highest HIV rates in Asia-Pacific. 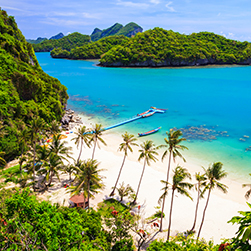 Due to its many internal migrants, Phuket is one of the hardest hit provinces. Sadly, stigma against those with HIV is rampant, with relatives often rejecting HIV-positive family members. Spend the day learning new skills in the kitchen while helping those less fortunate by cooking a meal for children orphaned by HIV/AIDS. 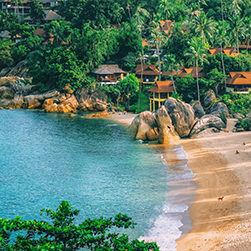 After a market trip to pick up fresh ingredients, learn how to prepare a Thai meal at a cooking school right by the beach. Then take the meal to a nearby foster home and spend time with the young residents aged 1-17 years old where you will learn about the support given to families living with HIV. Explore a selection of our hotel offerings to complete your customised journey. 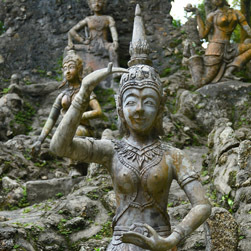 The number of hotels and resorts throughout Southeast Asia are extensive and varied. Please contact us for more accommodation options. 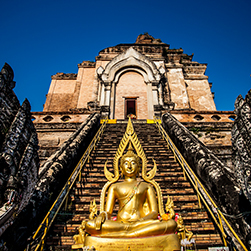 View our current special offers to save on your customised journey to Thailand. We had a fantastic time at all the locations visited! 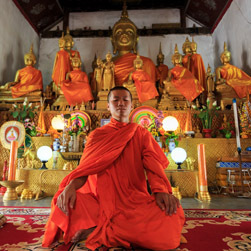 Trails of Indochina's private tour guides were excellent and showed us and explained a lot more than I would expect we would have received from any group tour package. We’d recommend them without any hesitation. You are all to be commended for your professionalism and efficiency. We will highly recommend your excellent agency to our friends and colleagues.